At the beginning of our trip, I thought it would be wise to keep track of a few things so that at the end of the trip, I could write a post like this. Turns out, I went a little OCD and kept track of tons of things. Curious to know how many flights we took? How many countries we visited? How many beds we slept in? Number of trains, buses, and taxi collectivos we took? What about how many minutes we actually spent traveling? I kept track of it all. Read below to find out all the details I spent too much time keeping track of. All in all, Emily and I spent a total 252 days on the road. From the day we left, Helena, MT on July 5, 2016 to the day we arrived back in Great Falls, MT on March 15, 2017 was just shy of 9 months. In those nine months, we visited 24 different countries on five continents. There’s a caveat here. When counting countries it’s important to set boundaries and determine exactly what should count as “visiting” and what should not. 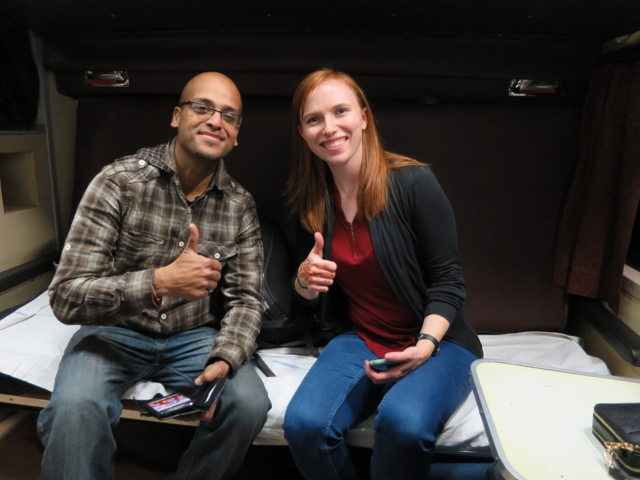 So, our general rule of thumb for counting a country was this: we needed to spend the night in that country, and not in an airport. So, for example, we had a connecting flight through Belgrade, Serbia on our way to Athens. We don’t count Serbia. On the other hand, the USA is included in our count because we spend the first month of our trip road tripping through 8 US States (MT, ID, UT, NV, CA, AZ, NM, TX). So, 24 countries, 252 days, means we spent an average of 10.5 days in each country. Doesn’t seem too fast, does it? 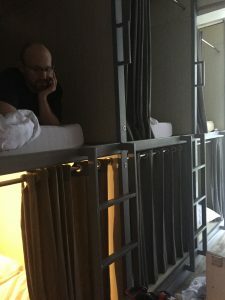 Nothin’ weird about a coupla 29 year olds sleeping in bunk beds. We circumnavigated the globe during our travels, and we used planes, trains, buses, cars, taxis, boats, camels, and our own two feet to do it. With the exception of uber rides, this list only includes transportation between cities or countries. For example, the bus we would take in London to meet up with friends is not included. The bus we took between Brussels and Amsterdam is included. On a few occasions, we hiked from one city to another (they were fairly close, don’t give us too much credit), and those are also included. These don’t really fit in a good category by themselves, so like a school cafeteria trying to get rid of last week’s leftovers by throwing them into a pot and calling it the “chef’s special” soup, I’m tossing these here. Dogs Emily actually tried to adopt: 2 (One in Madrid from a shelter, and a stray dog we named Sundhar in Agra, India). 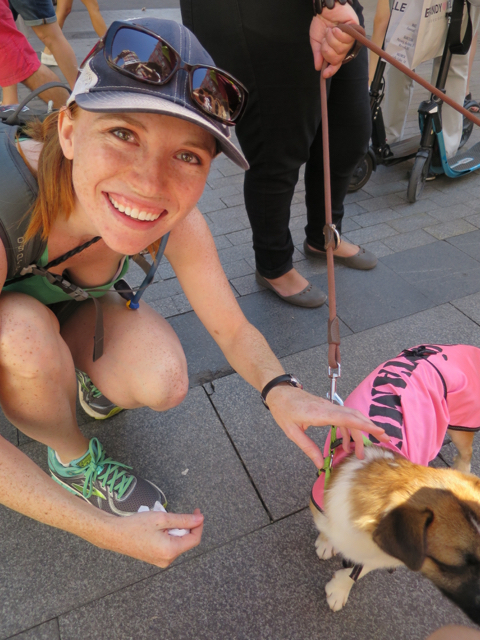 She’ll deny this, but Emily spent a good chunk of an afternoon in Madrid trying to find a way to adopt this dog and take it back to Montana. A world tour wouldn’t be complete without a handful of bumps, bruises, and illnesses. We had our fair share through the trip. Only a handful required hospitalization, and none were exceptionally serious. 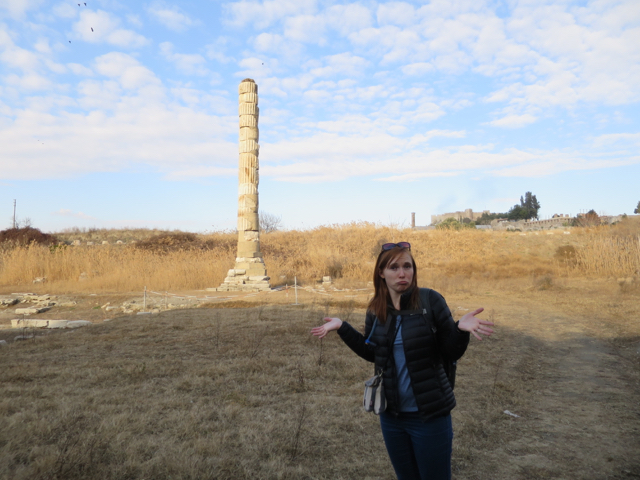 Yeah… not a lot left of the Temple of Artemis. Emily was less than impressed. We’d like to go back to the Colosseum in Rome someday, and we want to see Petra in Jordan, and the Great Wall of China. After that, we truly will have hit all the modern wonders of the world. I created a massive Google spreadsheet to figure all the above out, and I also included two columns, one for minutes spent traveling, and another for miles traveled. 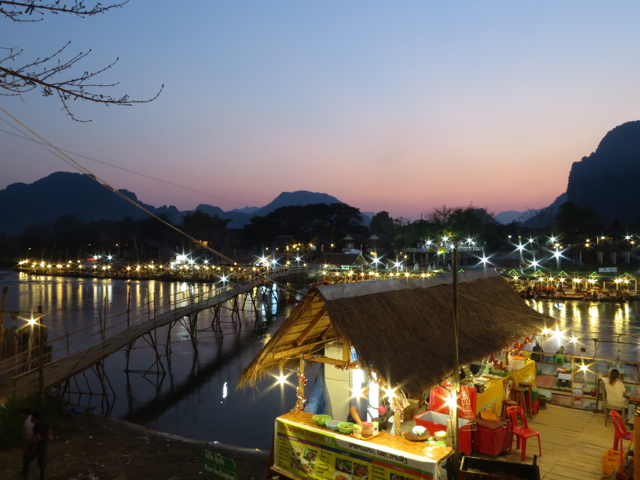 The minutes spent traveling does not include subways, taxis, ubers, or any “in-town” travel. It only includes the time spent traveling from one city or country to another. After traveling around the world for a little under 9 months, we spent a whopping 20,760 minutes traveling. That equates to 346 hours, or 14.4 days traveling. We literally spent the equivalent of two weeks on planes, trains, buses, boats, and automobiles. 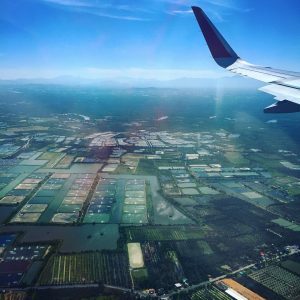 Flying into Thailand looking over the rice fields. In those two weeks of actually traveling, how far did we go? With the help of google maps, and some flight tracking apps, I arrived at the total. We travelled 42,835 miles (~69,000 km). For reference, the circumference of the earth is 24,901 miles. 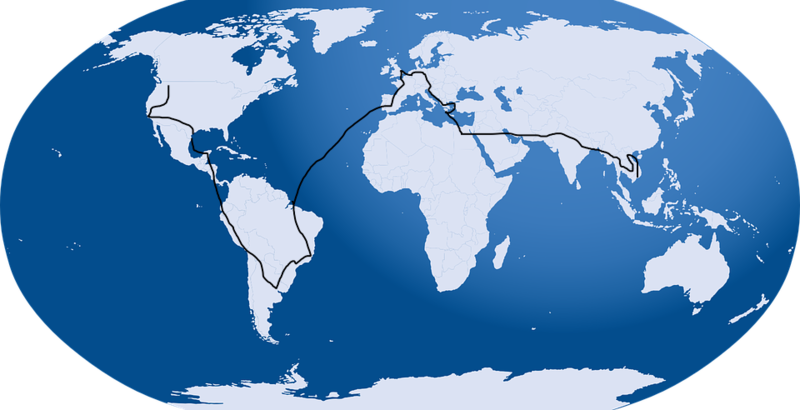 We nearly went around the world twice, in terms of distance travelled. We’ve been home for almost 3 months now. We’re getting back into the groove of working and staying in the same spot, and we’re so happy to have our friends, family, and dog around us again, but I’d be lying if I didn’t say I don’t miss the adventure. Languages: We had attempted to speak Spanish, Portuguese, French, English, Dutch, German, Czech, Polish, Croatian, Greek, Turkish, Arabic, Hindi, Thai, Khmer, Laotian, and Chinese, so…17? There might be more. At least 16 though. We can say some basic phrases (hello, thank you, goodbye) in all of them, which feels pretty good I guess. Photos: We each took about 5,000 photos, so a rough estimate is right around 10k photos for both of us for the whole trip. That averages out to about 20 per person per day.